The Miami-Dade Beacon Council is proud to announce four companies located in Miami Gardens, Coral Gables and two in Doral are adding nearly $2 million in new capital investment and 40 jobs within three years. 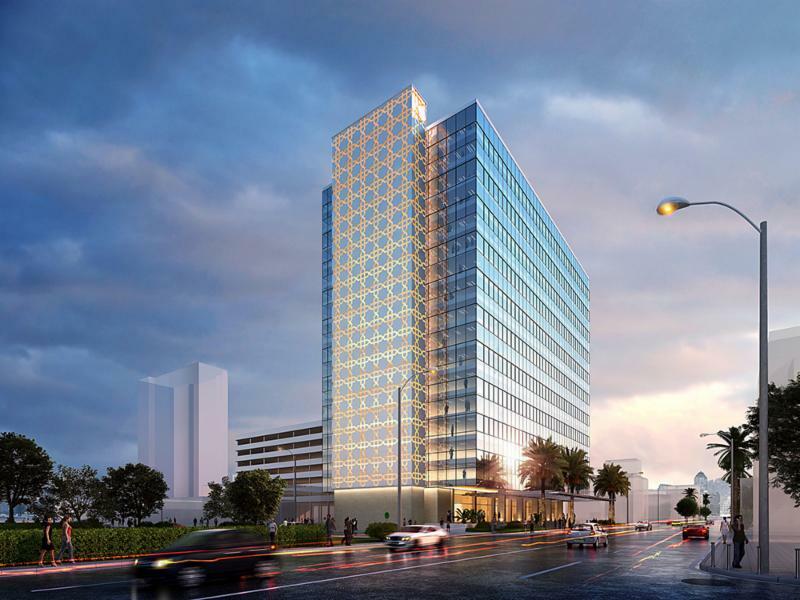 “These companies showcase Miami-Dade’s diverse economy and the variety of business location options throughout our community,” said Larry K. Williams, President & CEO of Miami-Dade’s Beacon Council. Cube Care, a provider of high quality products for healthcare and commercial interiors, is expanding its manufacturing operations to add 20 new jobs to their existing 24 employees at a new location in Miami Gardens, where the company will make a $1.75 million capital investment in the facility.Their products include cubicle curtains, tracks, shower curtains, cart covers, window treatment and bedding for medical facilities. Alpha Trade opened a new distribution site in Doral adding five new jobs and spending $110,000 in new capital investment within three years. One of Argentina’s most treasured commodities, world-renowned ceramic products created by 108-year-old manufacturers Ceramica Alberdi S.A. of Buenos Aires, will now be easier to obtain in the U.S. thanks to Alpha Trade Export and Import Solutions. The company is making this product and other global resources available in the U.S. Alpha Trade not only provides a variety of products used in construction; everything from plumbing supplies to electrical equipment but also acts as a commercial representative for small and medium-sized companies that want to export their products to U.S. markets. Geoglobal USA, a company that imports, distributes and supplies home goods and furniture, opened a new Coral Gables location, adding three new jobs and is spending $20,000 in the next three years in capital investments. Geoglobal USA also represents foreign companies who wish to start operations in the U.S.
ZUMMO, a Spanish citrus-juicing manufacturer, is expanding, making Doral its North American headquarters, adding about 12 employees and investing $100,000 in a design and manufacturing facility within three years. Zummo juice extractors use a system the company calls the Efficient Vertical System. This process cuts the fruit in two halves and then pressed to extract the juice without touching the peel, thereby obtaining a juice with fewer chemicals, free of oils and acidity. 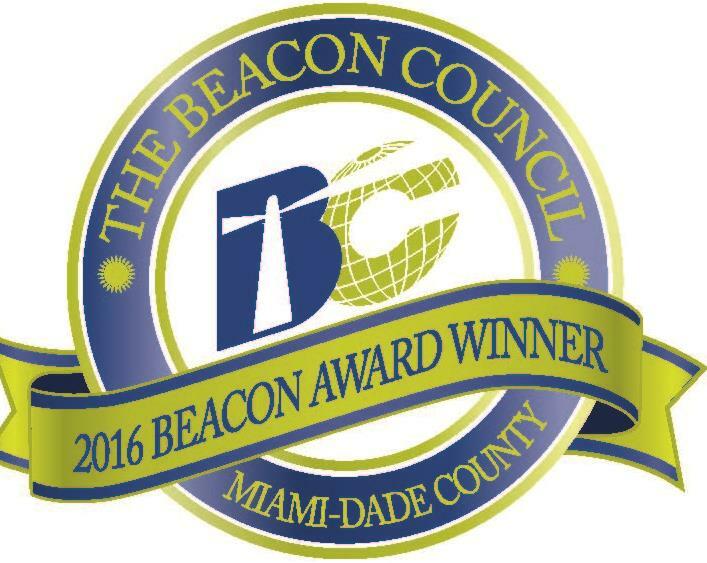 Enterprise Florida in Spain referred the company to The Miami-Dade Beacon Council. Miami-Dade added nearly 2 percent job growth (20,700) from July 2015 to July 2016 with growth in the construction sector leading (13.6 percent), followed by professional service sector (3.4 percent) and financial activities (3.8 percent) according to statistics released Friday. Knight Foundation supports transformational ideas that promote quality journalism, advance media innovation, engage communities and foster the arts. 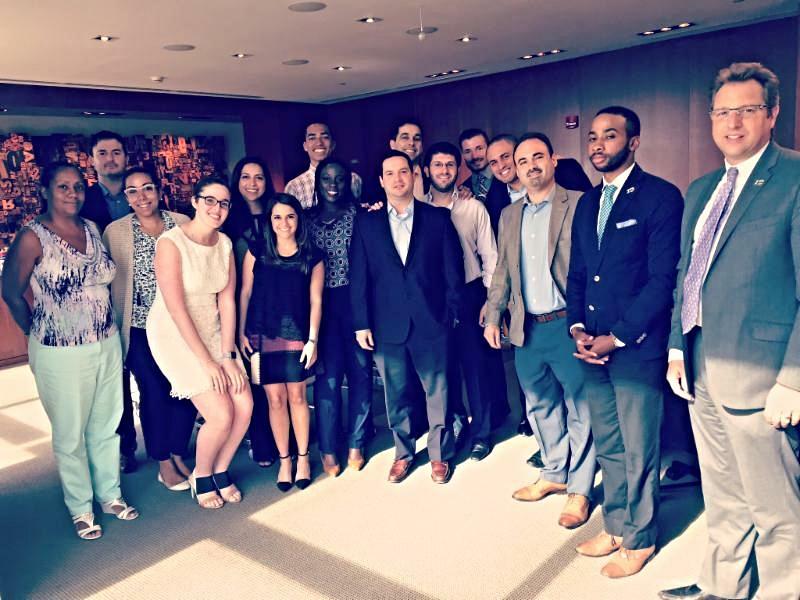 Now in its fifth year, the NLT is comprised of leading young professionals in Miami-Dade. The group’s efforts since its inception has translated into outreach with 3,000+ young professionals. Their primary focus is on helping retain students and young professionals in Miami. International music superstars Emilio and Gloria Estefan and Miami-Dade County officials celebrated the opening of the very first Estefan Kitchen Express, located at Gate D-27 inside Miami International Airport. Estefan Kitchen Express features a menu of healthy grab-and-go Cuban classics alongside a full-service Bortran Rum Mojito Bar, which is adorned by Cuban tiles and state-of-art LED screens. In this 2-day advanced certificate program, participants will engage academics, industry leaders, and security professionals in assessing the most critical cyber threats facing the public and private sectors in the 21st century. Participants will learn best practices about organizational structures, processes, and legal considerations. Participants will also be exposed to strategies and the most effective approaches to implementing strategies in the workplace. Upon completion of the program, participants will earn an Executive Certificate in Cybersecurity Leadership and Strategy from Florida International University. Beacon Council members will receive a 15 percent discount when registering with the following code FIUCYBER2016BEACONCOUNCIL. Tibor Hollo is highly-regarded by his peers as a pioneer and one of Miami’s true visionaries. Over 60 years ago, he forged a path for the future by constructing the very first high-rise building on Brickell Avenue. The concept of living, working, and playing in the urban core long has been his dream, brought to life through his many developments, especially in the Omni/Venetia area and the Brickell corridor. His vision now is truly taking shape on a large scale, as evidenced by the growth and excitement permeating the areas in and surrounding our beautiful Downtown. The Beacon Council and Miami-Dade County websitewww.miamidadesites.com features available vacant industrial and commercial properties. It is based on user-defined criteria for Miami-Dade County utilizing geographically based demographic and business information. Nearly 4,000 people (3,738) are employed by scientific research and development establishments in Miami-Dade County. Apply today! Join one of a series of informational webinars. A good business plan can propel your business to the next level. Whether it’s to secure a loan, seek investors or simply to guide your team. The 2016 BioFlorida Annual Conference is taking place in Jacksonville this year at the Hyatt Regency Riverfront. The two-day Conference & Expo attracts the largest and most prestigious life sciences community in the state, and it is at this conference that attendees will connect with more than 400 life science professionals from Florida and throughout the country.